Crossing the road, we look both ways. Riding a bicycle at night, we use lights. So why is our attitude towards online security so relaxed? Edward Lucas reveals the ways in which cyberspace is not the secure zone we may hope, how passwords provide no significant obstacle to anyone intent on getting past them, and how anonymity is easily accessible to anyone - malign or benign - willing to take a little time covering their tracks. The internet was designed by a small group of computer scientists looking for a way to share information quickly. In the last twenty years it has expanded rapidly to become a global information superhighway, available to all comers, but also wide open to those seeking invisibility. This potential for anonymity means neither privacy nor secrecy are really possible for law-abiding corporations or citizens. As identities can be faked so easily the very foundations on which our political, legal and economic systems are based are vulnerable. Businesses, governments, national security organisations and even ordinary individuals are constantly at risk and with our ever increasing dependence on the internet and smart-phone technology this threat is unlikely to diminish - in fact, the target for cyber-criminals is expanding all the time. 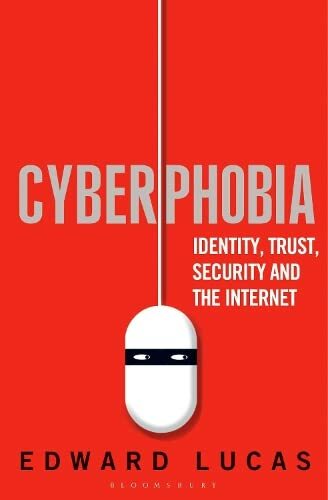 Not only does Cyberphobia lay bare the dangers of the internet, it also explores the most successful defensive cyber-strategies, options for tracking down transgressors and argues that we are moving into a post-digital age where once again face-to-face communication will be the only interaction that really matters.